The last review on teacher enthusiasm was 45 years ago, and teacher enthusiasm remains a compelling yet complex variable in the educational context. Since Rosenshine’s (School Review 78:499–514, 1970) review, the conceptualizations, definitions, methodology, and results have only become more scattered, and several related constructs have emerged that may or may not be synonymous with teacher enthusiasm. 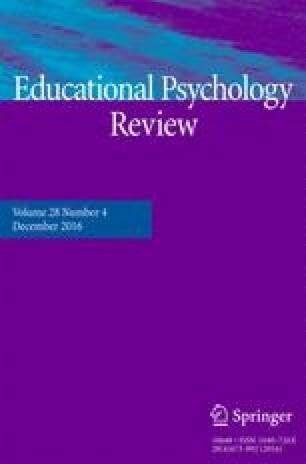 In this review, we delve into the past four decades of teacher enthusiasm research to provide a potential starting point for a new, consolidated direction in teacher enthusiasm research based on a proposed, holistic definition of enthusiasm which brings together research from the past and can fuel research for the future. We begin by reviewing definitions of teacher enthusiasm and related constructs and, thereafter, put forward a new and integrative definition of teacher enthusiasm that combines the two most prevalent conceptualizations of the construct, namely experienced enjoyment and expressive behavior. Bearing our proposed definition in mind, we go on to present numerous measures that assess teacher enthusiasm, detail research evidence related to its correlates, and finally derive several research implications that, when considered in future research, promise to advance the field. Caruso, V. M. (1982). Enthusiastic teaching. Journal of Physical Education, Recreation and Dance, 53, 47–48. doi: 10.1080/07303084.1982.10629351. Collins, M. L. (1976). The effects of training for enthusiasm on the enthusiasm displayed by preservice elementary teachers. Retrieved from http://www.redi-bw.de/db/ebsco.php/search.ebscohost.com/login.aspx?direct=true&db=eric&AN=ED129773&site=ehost-live. Sutton, R. E., & Wheatley, K. F. (2003). Teachers’ emotions and teaching: A review of the literature and directions for future research. Educational Psychology Review, 15(4), 327–358. doi: 10.1023/A:1026131715856.